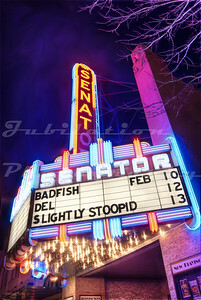 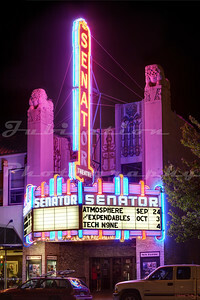 The Senator Theatre in Chico, CA, opened in 1927. 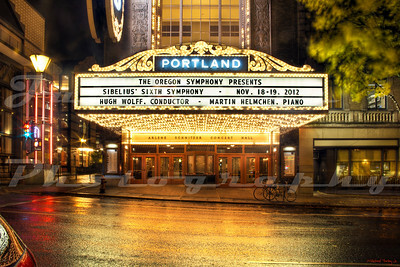 The Arlene Schnitzer Concert Hall, Portland, OR. 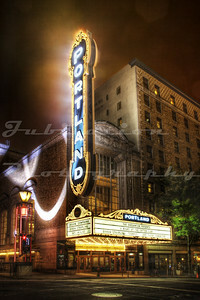 Opened as the Portland Publix Theatre in 1928 and soon renamed to the Paramount. 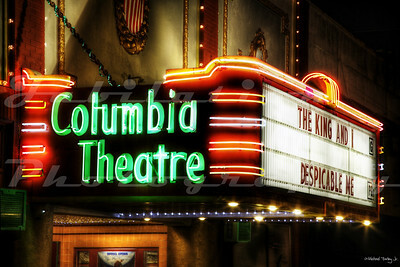 It's sister theater is in Seattle. 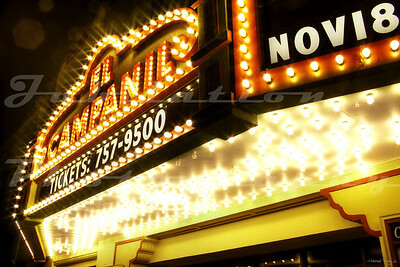 The vertical sign is a 30 year old replica made to look like the original. 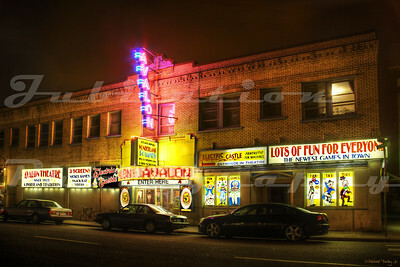 This theater often appeared on one of my favorite TV shows, Leverage. 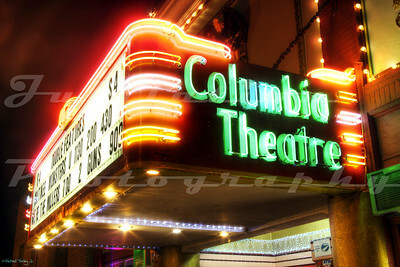 The Columbia Theater, Saint Helens, OR. 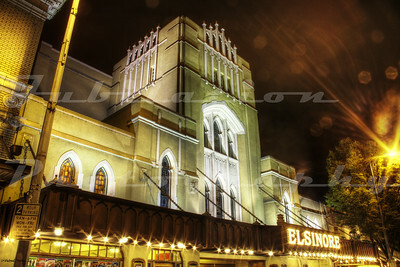 Opened in 1928. 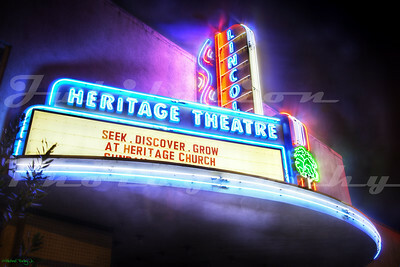 Opened in the 1920's as the Lincoln Theatre in Lincoln, CA, it's now owned by a church that renamed it the Heritage Theatre. 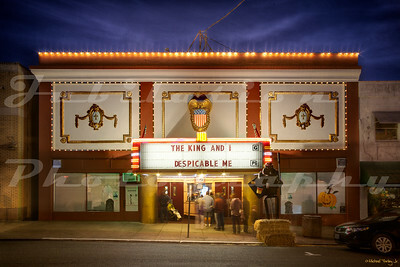 The Whiteside Theatre in Corvallis, OR. 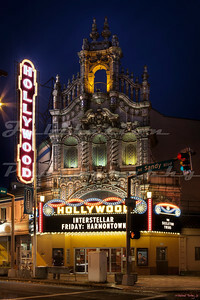 Though this photo was taken in 2012, it has since been restored. 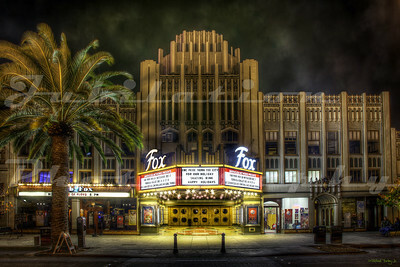 The Fox Theatre, Redwood City, CA. 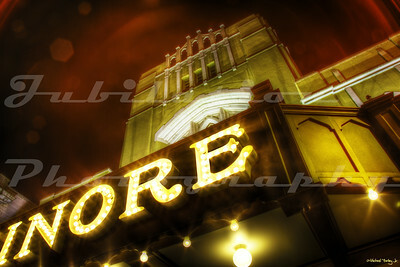 Opened in 1929 as the Sequoia Theatre, remodeled and renamed the Fox in 1950. 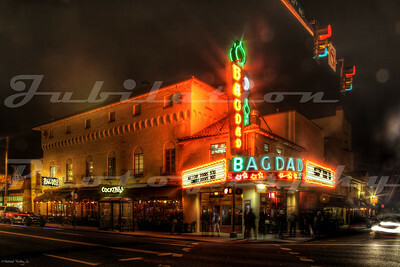 The Fox Theatre in the foreground and its younger brother, the Century Theatre in the background, Redwood City, CA. 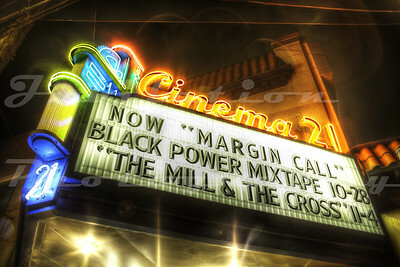 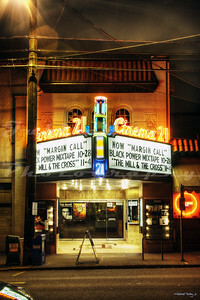 The Cinema 21, Portland, OR. 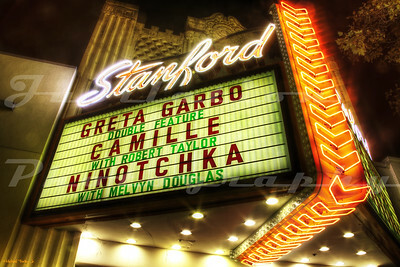 Opened in 1927, this theater has gone through a few name changes in its day, including the Vista, the State, and the 21st Avenue Cinema. 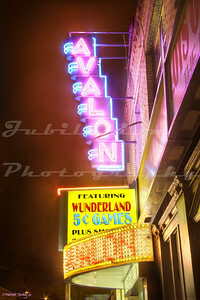 The Avalon Theatre, Portland, OR. 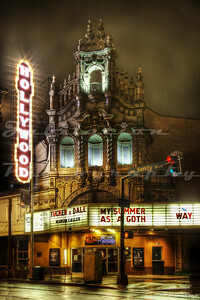 I have some conflicting information about this theater...I have heard that it may have been built in 1913 as the Sunnyside Theatre, which would make sense if you looked at the building and understood the construction of the day. 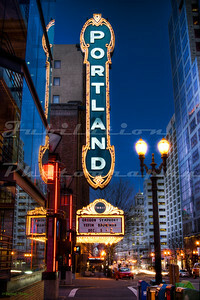 However, the sign in the photo says "A Portland Tradition Since 1925." 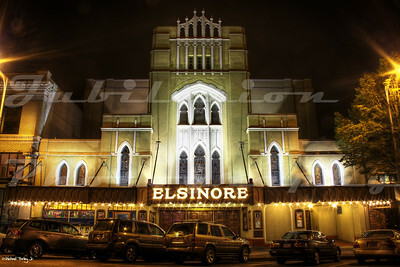 It could be that it became the Avalon in '25, or that could be when it was built. 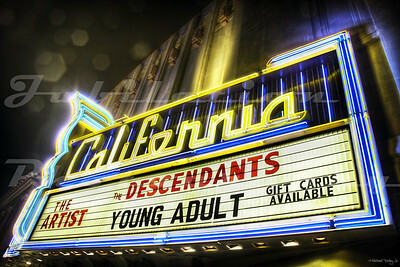 For now, that will have to remain a mystery. 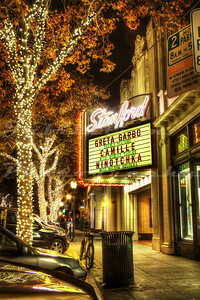 The Stanford Theatre, Palo Alto, CA. 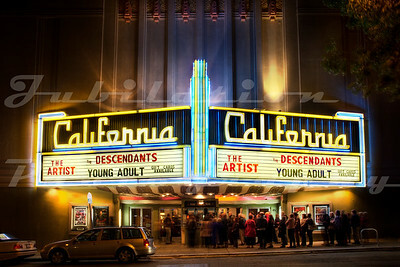 Opened in 1925 and still going strong, showing Golden Age movies. 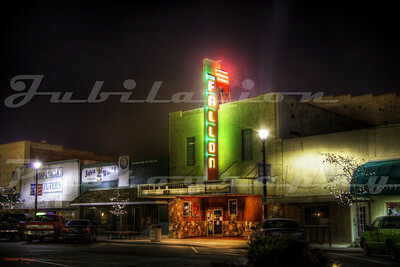 The Fallon Theater, Fallon, NV. 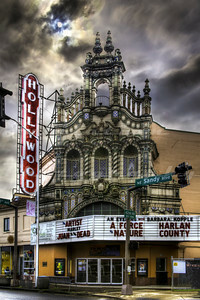 Opened in 1920 as the Rex. 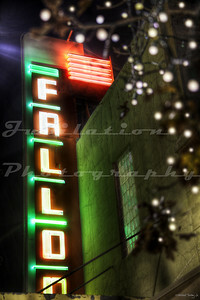 The Fallon is the longest continually operating movie theater in Nevada. 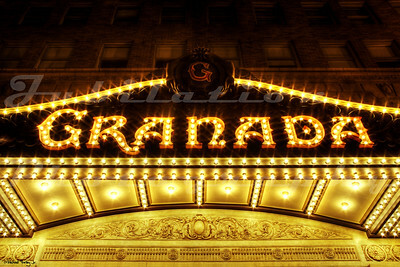 The Granada Theater, Santa Barbara, CA. 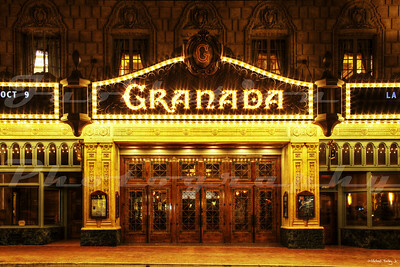 Opened in 1924 and underwent a major facelift in 2008. 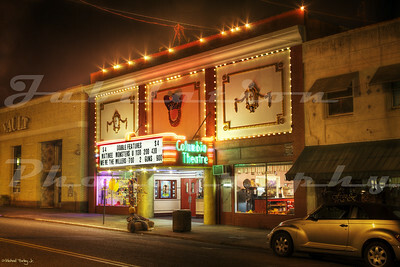 The St. John's Cinemas opened as the Venetian Theatre in 1926. 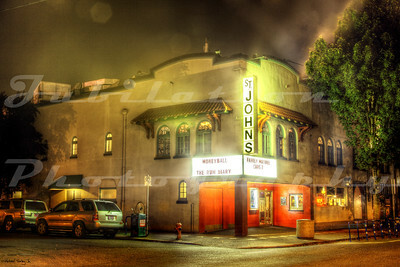 In 1937, ownership of the theater changes hands and the theater was renamed "St. John's". 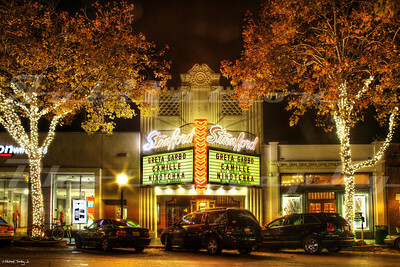 In the 1960's, it was renamed the Northgate Theater, and with the next remodel in the '80's, the name was changed back to St. John's. 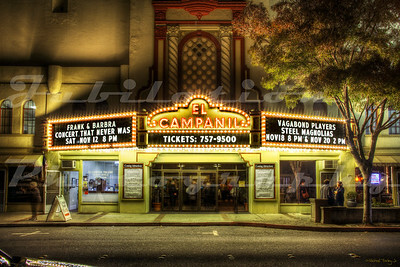 The El Campanil Theatre, Antioch, CA. 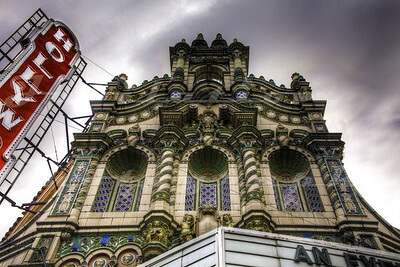 Opened in 1928. 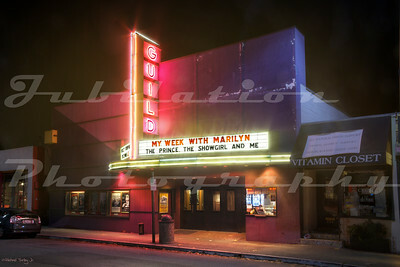 The Guild Theatre in Meno Park, CA, opened in 1926 as the Menlo Theatre. 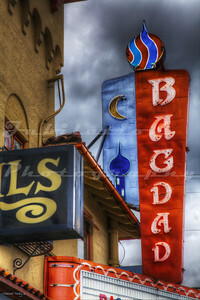 The name was changed in the 1940's. 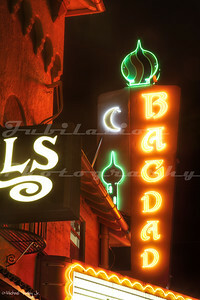 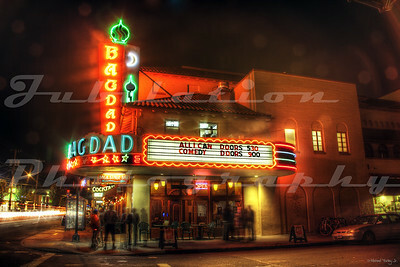 The Bagdad Theatre, Portland, OR. 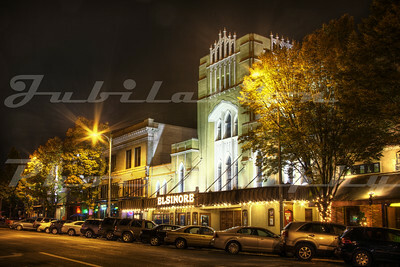 Opened in 1927 and still going strong as part of the McMenamins chain of theater/pubs. 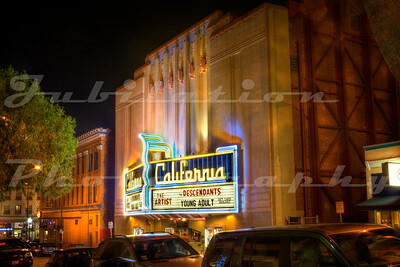 The California Theatre, Berkeley, CA. 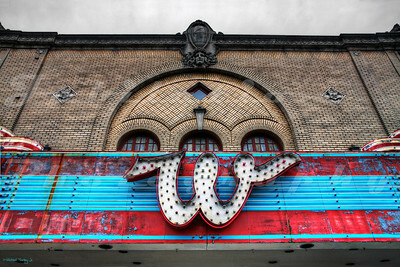 Opened in 1920 as the T & D Theatre, a large chain of the day. 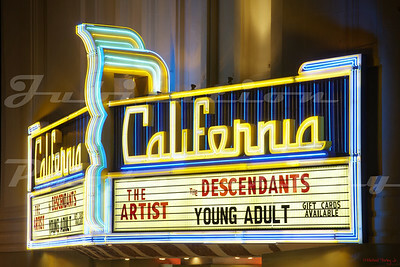 From the look of the California's neon sign, it looks as though the name was changed probably in the 1940's. 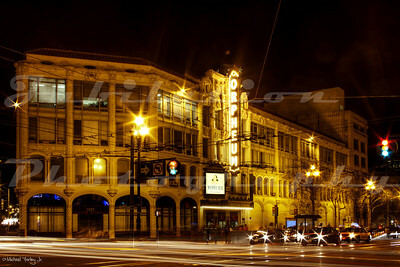 The Orpheum Theatre, San Francisco, CA. 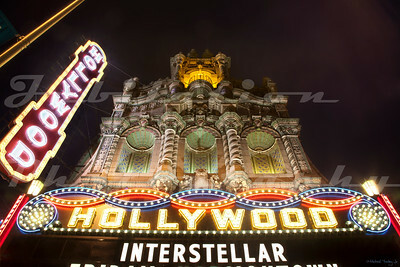 Opened in 1926 as the Pantages Theatre.